Football Kenya Federation has allowed Gor Mahia and Sofapaka to have up to seven foreign players in their roster instead of the mandatory five. The decision by FKF has been taken in order to stem the poor perfomances by Kenyan teams in recent Africa cup tournaments. The body’s Media Officer, John Kariuki said the two clubs that are representing Kenya in this year’s CAF tournaments can now sign more foreigners to help bolster their squads. “As the federation we are concerned that over the years our teams taking part in international tournament have not performed well,” Kariuki said to the Nation. “We need to see our teams go far in their continental qualifies that is why we have allowed Gor Mahia and Sofapaka to sign seven foreign players. This is in line with other teams in other countries that have succeeded.” he continued. At this point Gor Mahia already has a number of foreign players including Israel Emuge, Godfrey Walusimbi and now Dirkir Glay though it is still unclear whether the Liberian has put pen to paper. There have been reports that Gor Mahia have been pursuing certain foreign players some of whom have expressed an interest in joining Gor Mahia including Khalid Aucho and Abouba Sibomana from Rwanda. Whether Gor Mahia can afford to sign them with their hefty signing bonuses is a different story. 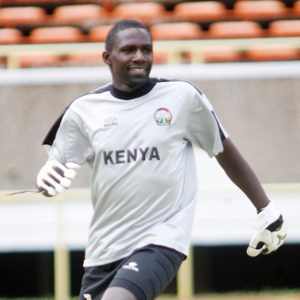 Meanwhile team captain Jerim Onyango has welcomed the signing of goalkeeper Bonface Oluoch. The situation mirrors past eras where Gor Mahia had two national team goalkeepers. In the mid 1980s, Gor Mahia had both David Ochieng and Tirus Omondi who were both in the national team. In the early 1990s, Gor Mahia had Joseph Asembo and Charles Omondi “Korea”. Charles Odette who had been a Gor Mahia target and had earlier announced that he had signed for Posta Rangers has apparently not signed any contract with Rangers and is still evaluating offers from various teams. The signing of Boniface Oluoch is very good. He can withstand pressure. I hope his discipline that made him not to feature in National team sometime back has so far improved. As for no. of foreigners we can sign, whether seven or five is immaterial for now coz we don’t have financial muscle to bring quality players from other countries. Maybe it could be a good idea in future. 2015 season may be tough and I believe we have what it takes to lift the trophy third time in a row. GM needs one or two lethal strikers. The technical bench may require a max of 23 players in total so that unlike in the past we don’t have a very big squad where some players don’t feature anywhere throughout the season. I think that the addition of more foreign players will help our league be more competitive. However, I agree with Ingo, that Kenyan teams do not prepare well for the continental challenges because of the starting/ending of the local league; and their pre-season preparations are nil – both these factors present our teams with major disadvantages. I though the local league was supposed to change dates, and fall in line with the other leagues in the continent ….. or was that just empty talk? We have entered Jan 2015. Sadly the persons who we expect to carry out the actual job i.e the soldiers who will be doing the battle were only paid their Nov2014 salaries on 24th Dec2014. When will their their December 2014 remuneration be cleared? How has the +kshs.12M raised in Nov2014 been used? Is it even ethical to demand that players win matches while their remuneration is not upto date. I total agree with @ WAB all else is immaterial unless the financial quagmire (in particular the issue on payment of players’/TBs’ salaries on time is addressed) is sorted out first. Let’s cut our coat according to the size of the cloth we have. Gor Mahia assistant captain David Owino has joined Zambia champions Zesco United. The move which was confirmed by Gor Mahia Deputy Secretary General Anima Oketch ends debate about the future of the Kenyan Premier League best defender who had only six months remaining in his contract with the champions. It was a surprise move but according to club officials, negotiations have been going on secretly and yesterday, Zesco confirmed Owino was one of their player by including him in the list for the Africa Champions League. The deal is worth US Dollars 35 000 (approximately Kshs. 3.4 million) to be shared between the two parties in which Owino will pocket US Dollars 20 000 (approximately Kshs. 1.8 million) while Gor Mahia take US Dollars 15 000 (Approximately Kshs. 1.4 million). Curiously, Gor Mahia had included Owino in their provisional list for the Caf Champions League but will now have to get a replacement. The club has already acquired the services of Liberian Dirkir Glay from Thika United. Owino has been angling for a move away from Gor. He had refused to sign a longer deal tabled by the club. A move to Simba also failed after he refused to attend trials. He will be the first Kenyan footballer to grace the Zambian league. The “King” is gone, if its not another “situmbekoring”. David Owino aka Calabar (“King David” to me) has apparently left GM to join Zesco in the Zambian league. While am sadden that Mighty K’galo is loosing players to the likes of Zesco I seek solace in the fact that GMFC has made kshs.1.8m from the deal. My advice to EC please use that money to clear salary arrears of players and TB. It does not make any sense starting the season with players and TB salaries not having been cleared. All the best ‘King David’ but if its turns out to be another “Simba” deal then no problem, K’galo is home. I wonder what the likes of Simba/ Zesco are doing that makes them miles ahead of us. These are clubs that have not won a continental title yawa wana K’galo let’s scratch our head and find a solution. Lastly again EC LIPA PLAYERS ALL THEIR DUES. hatuna sponsor so we will lose more in near future,but in kogallo the soldiers on ground win war for us. Calabar story was denied elsewhere by CEO and confirmed by Naima Oketch Deputy Secretary General. Confusion in the office and why was his name submitted to CAF? This EC is as good as a dead office with lack of coordination, focus and vision to take this great club anywhere. If Gor Mahia is run by the likes of Kalekwa of Sofapaka, we could be miles away. This office should just call AGM and quit for self inflicted defeat due to poor performance by the entire office. May be one or two officials can be retained. Can somebody confirm whether we have signed Aucho or not.latest confirmed signings. I would apeal to Gormahia management to rethink on the issue of mutiso wiper, i saw what he can do, chairman Rachier renew mutisos contract. @Oduor – so these boys have not yet been paid? That may demotivate them. I wish you all the best “Calabar” you have always given your best. I hope that EC are making use of the little cash they get for the betterment of the club. ZAMBIA TEAM DENIES DEAL IS DONE !!!! Justin Mumba, secretary general of zambia chanpions has opened up on the expected transfer of David Owino from Gor Mahia to the reigning champions. In an exclusive phone interview with michezoafrica.com, Mumba clarified that the deal is pending medicals and no paperwork has been done yet. He also emphasized that the deal was brokered by a senior Gor Mahia FC official and insists the club is following the right channels. “The deal is not yet through. We have not settled the transfer as its pending the player attending medicals possibly by Monday, 5th January if he passes then we can go ahead and finalize everything. We have a letter from Gor Mahia official (name withled) giving us the green light. At the moment no contract has been signed yet but both parties have reached an agreement ” he said. It appears one of the Gor Mahia officils us trying to pull a deal under the table without the knowledge and consent of the other officials. This EC member that is involved in Calabar’s transfer needs to step aside as what Pascal posted just shows the rot in EC. Why is the official brokering the transfer? I think money has been eaten by the broker and thes are the people who are busy milking the club left right centre in all aspects that include gate collection and illegal transfers.